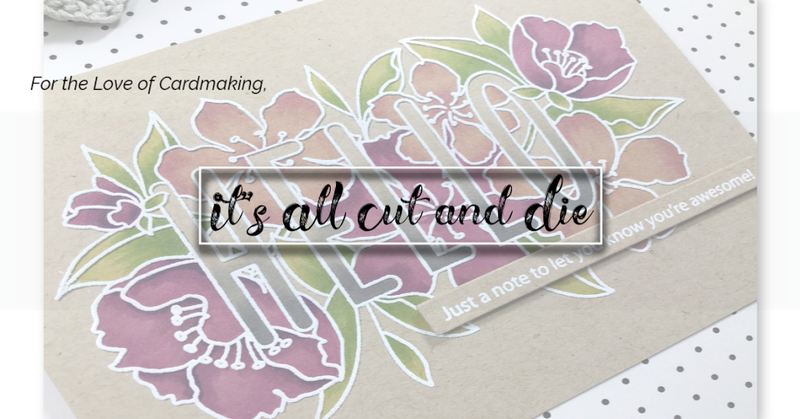 It's All Cut and Die: Shake Up Summer Blog Hop with Scrap 'N Stamp Canada!! 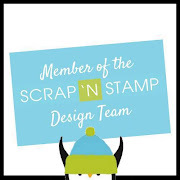 Shake Up Summer Blog Hop with Scrap 'N Stamp Canada!! Hello and welcome back! Are you ready to shake things up a bit? 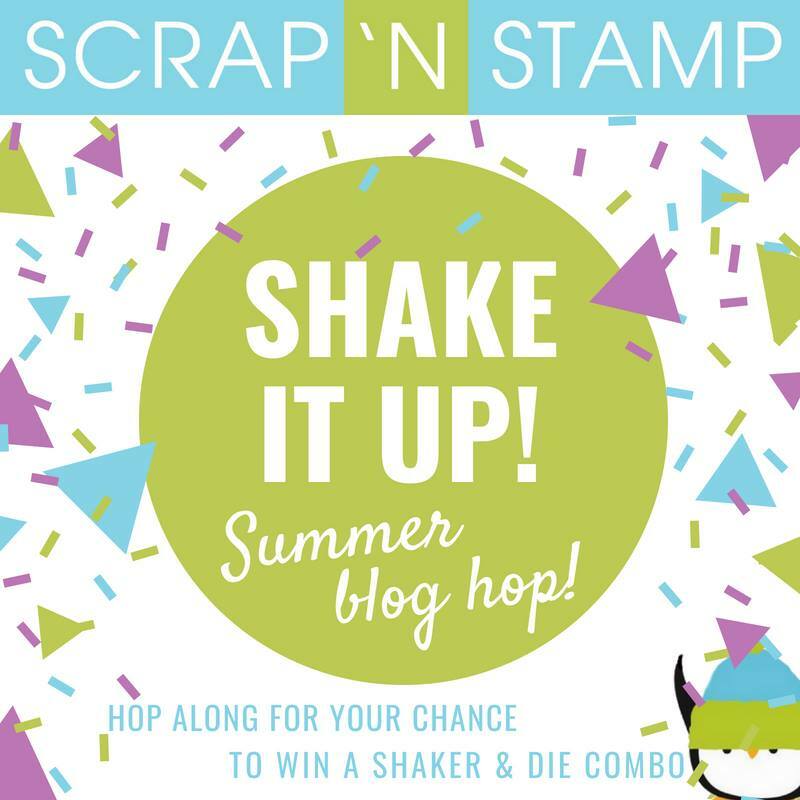 Today Scrap 'N Stamp is having a blog hop featuring SHAKER CARDS! I will admit that I do not make a lot shaker cards. Why? I'm really not sure. They are not that hard to make and are always so fun to give out. 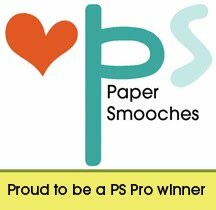 Sit back, relax and enjoy all the incredible shaker cards made by my team mates! Please stay tuned until the end of this post for details on prizes, because what's a blog hop without prizes :)! 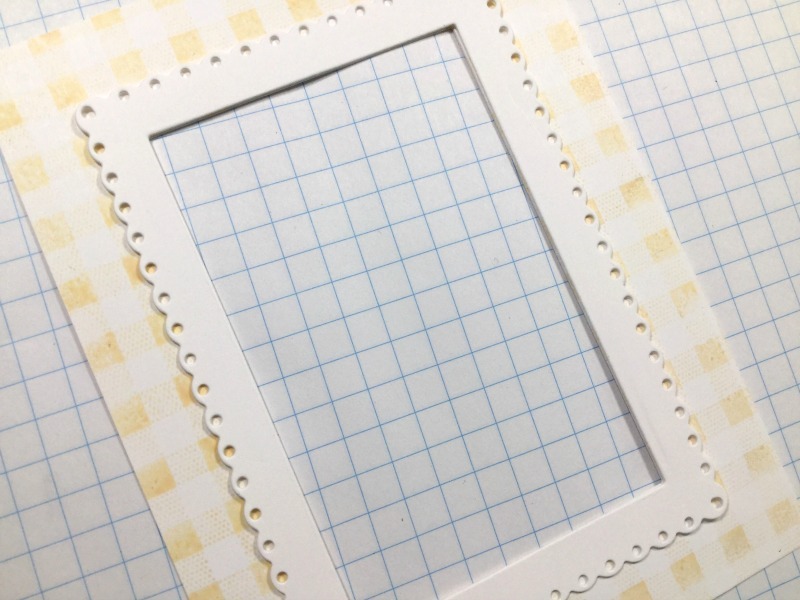 There are tons of products on the market that make constructing shaker cards super easy. These include dies with co-ordinating "pouches" for all your shaker bits and pieces. Tonic Studios make a bunch of different shaped sets including a circle, balloon, star and heart. These sets come with the die AND 5 pouches and are really affordable. These products eliminate the use of acetate which can be a bit frustrating to use! Now, after all that being said, I actually went "old school" and created my shaker using acetate (shakes head). While these sets are fantastic, I wanted a bit more room for all my shaker bits and pieces. 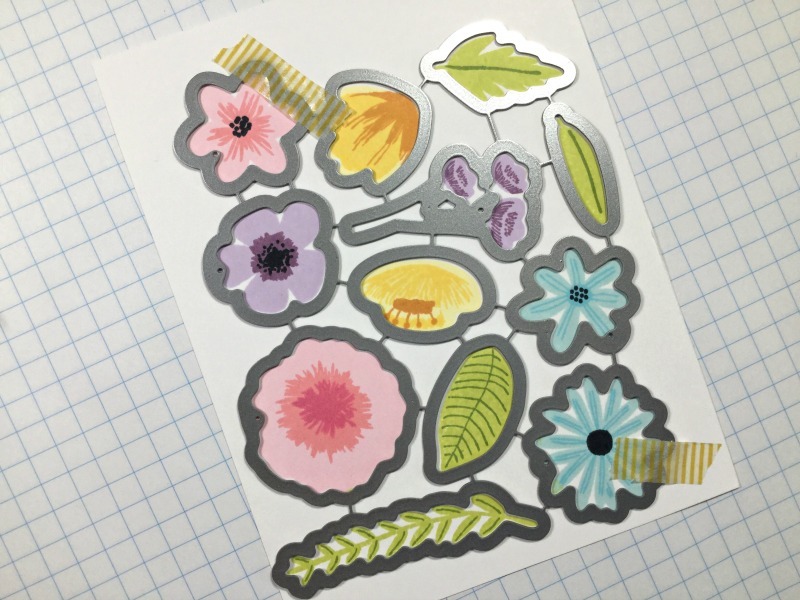 I started by stamping and die cutting all the images from the More Rustic Wildflowers set from MFT. I lined up all the stamps on my Misti by using the dies as a guide. Once everything was stamped, I was able to die cut everything with one pass! Next, I stamped a panel of white cardstock with an old Gingham Background Stamp but you could use any stamp or patterned paper for this. To create the window for my shaker, I used one of the Stitched Rectangle Dies from Lawn Fawn. 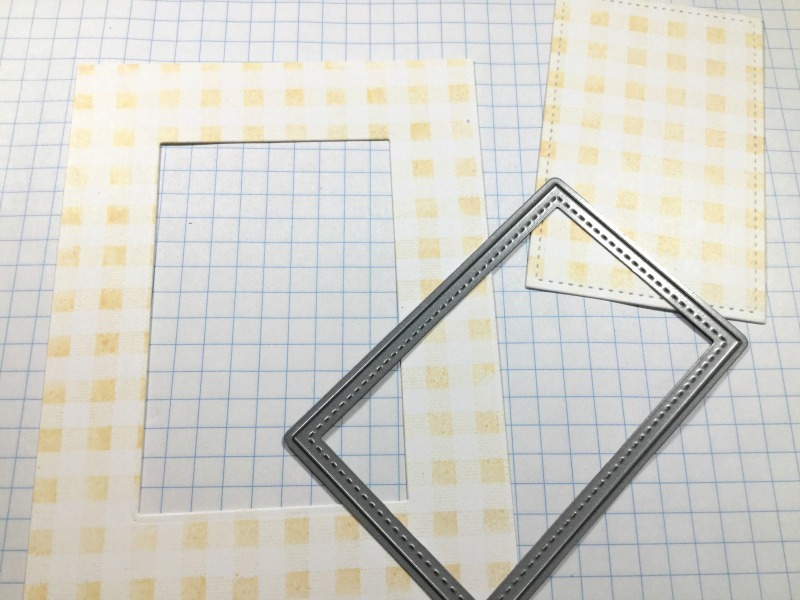 To make the window a little prettier, I made a frame out of white cardstock using this same die as well as one die larger from the Fancy Scalloped Rectangle Dies from Lawn Fawn. By nesting the two dies together and running them through your die cutting machine, you will end up with a frame that fits perfectly around the window! 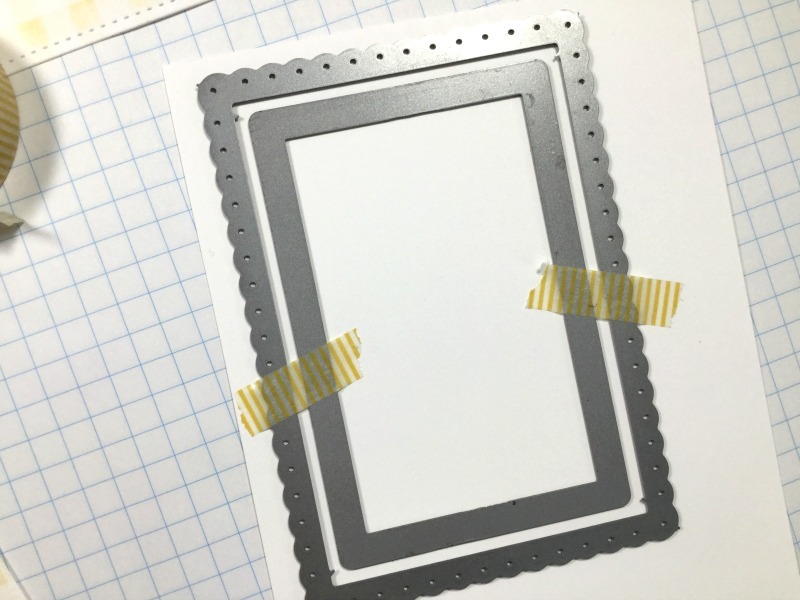 I trimmed a piece of acetate and adhered it to the back side of this panel. Any plastic packaging will work for this. To create the "well" for the bits and pieces, I placed a border of foam tape around the edges of the plastic. I use this foam tape. Before adding the sequins, I wanted to line up my sentiment stamp which will be on the card base itself. I did a dry run on the placement of all my flowers and lined up the sentiment on my Misti. The sentiment comes from the beautiful Choose Happy Stamp Set from Penny Black and I stamped in Versafine Clair Nocturne Ink. Now it's time to add all the sparkle and shine. I used an old sequin mix plus some Nuvo Confetti Crystal Cloud Circles. Here's a little tip: after removing the lining from the foam tape, add another layer of acetate, this will make it heaps easier to line the shaker panel on your card base. You can flip it over and nothing will spill out!!! I may have overdid it on the sequins as you have to give it quite a shake to see the full sentiment. I placed my little floral arrangements is opposite corners using a combination of Nuvo Deluxe Adhesive and foam squares. I'm really happy with the final outcome and had heaps of fun creating this card!! 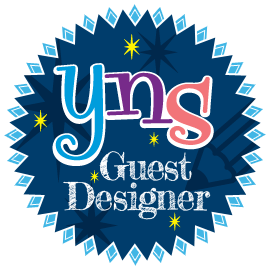 Just wait until you see what the other designers came up with...you'll be blown away!! 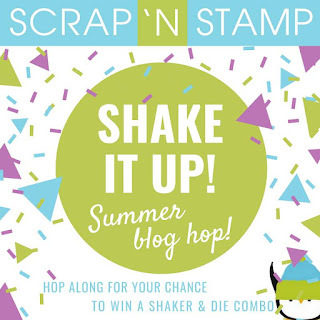 Scrap 'N Stamp Canada is giving away ONE Tonic Die and Shaker Set to one lucky commenter on each stop of the hop. There will also be one set given away on the Scrap 'N Stamp Facebook Page! That's SEVEN in total!! So please leave some love on each of our posts for a chance to win one of these amazing sets! Winners will be announced on Saturday, September 1st on the SNS Blog! Good Luck!! All Shaker Windows are 20% off right now!! See you soon and happy blog hopping!! So soft and pretty Laurie- gorgeous! I hopped the whole hop but Kia, there was no post for your hop just Your next Stamp and MSP, but I did go there! Stunning card Laurie, beautiful design and I I love how you showed every step. This is such a pretty card. What a great tip about the second acetate liner! Thank you! Such a soft and pretty card. Beautiful!! 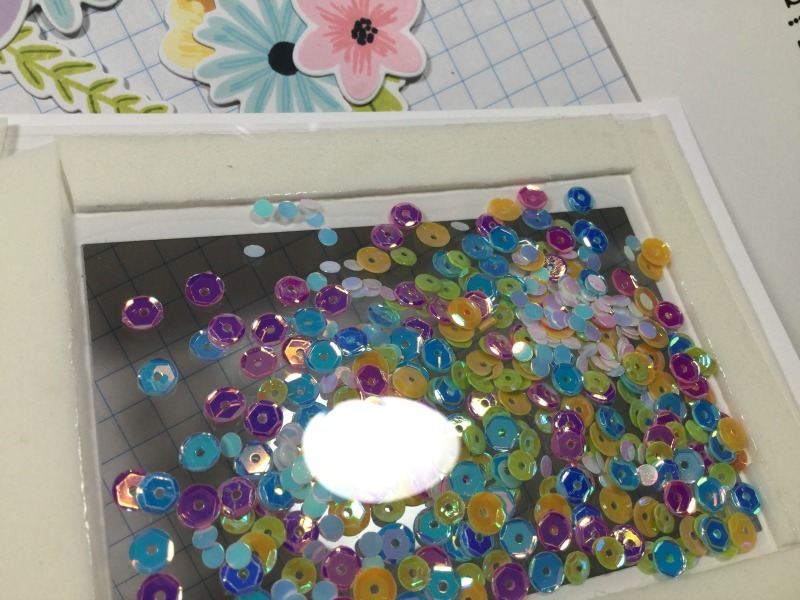 Wow - I love the colours of the sequins you used! Just beautiful. 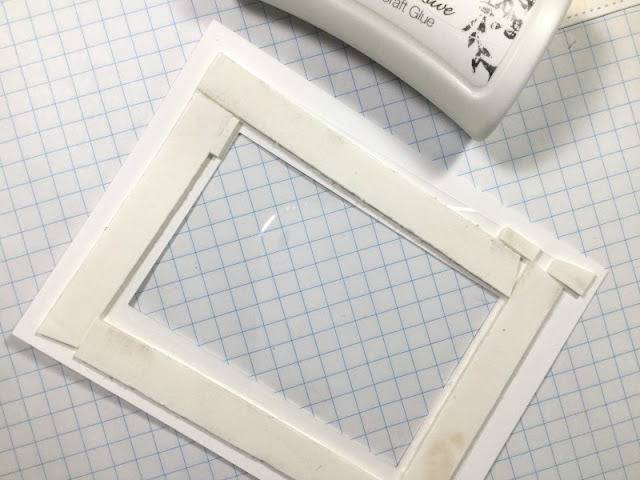 I've never added a 2nd layer of acetate - thanks for sharing that tip! I love all the colors and the sequins! 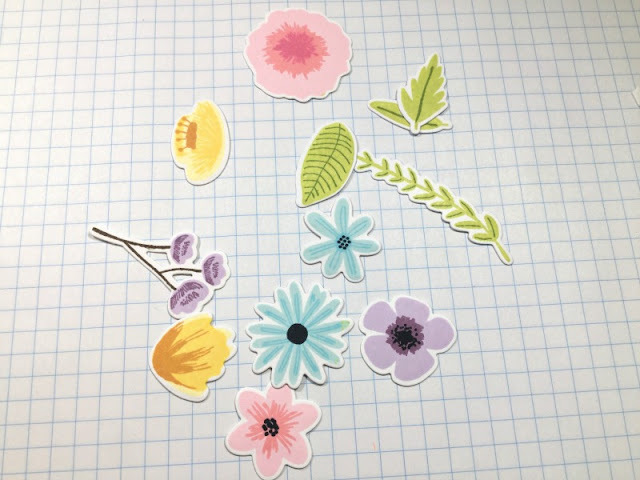 Love the way you positioned the flowers so you could cut them all in one pass... awesome! The flowers are just beautiful! Pretty shaker card! Love that frame! Super cute shaker card and a great stamp/die set. Love the colours that you used and thanks for the tip using the die still together....much easier to use. Your simple shaker is beautiful. Love the colours and the use of the die cut florals to embellish the corners. What a fabulous shaker. Love the background and flowers. Thanks for showing your process. So pretty how you created the flowers to frame the shaker window. Beautiful card! Thanks for the tip to use two pieces of acetate! WOW GORGEOUS! GORGEOUS! GORGEOUS! 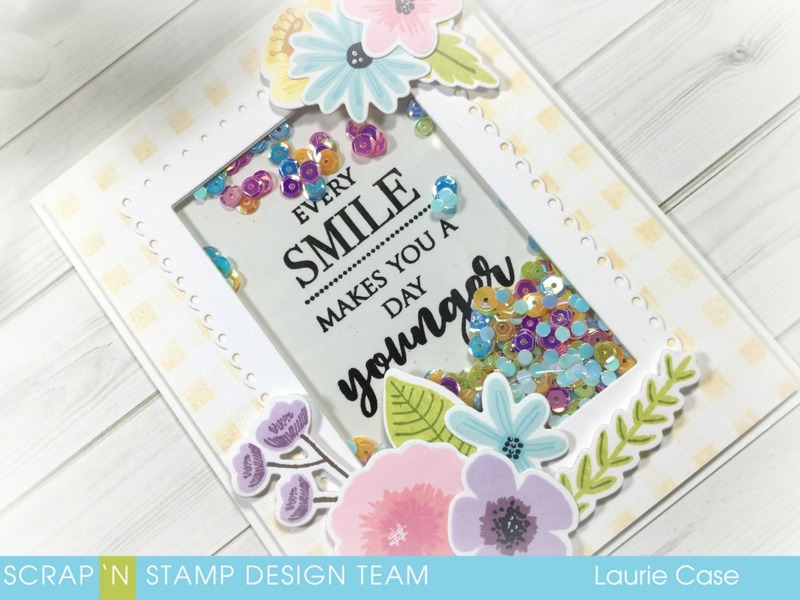 I am so loving the colors, the patterns, the flowers that it is a shaker card! and the sequences that you used are so beautiful with the card too!! Beautiful shaker card. I love the sentiment. 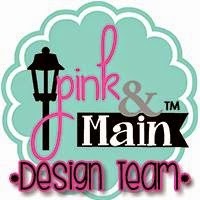 MCT 48 Hour Flash Sale and Blog Hop!! My Creative Time 82nd Edition Release Blog Hop!!! My Creative Time 82nd Release Final Sneak!! 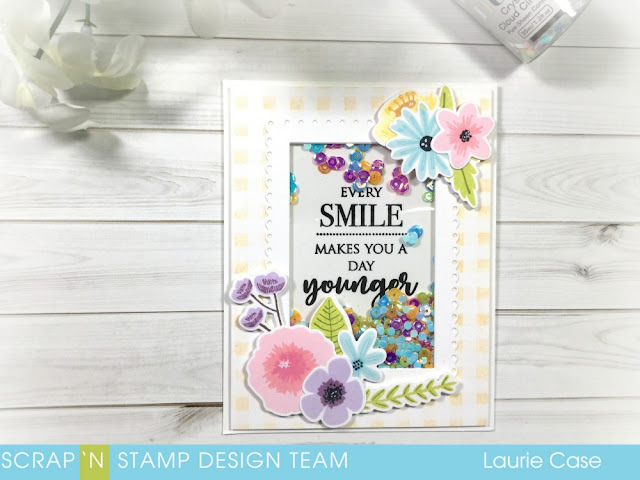 My Creative Time 82nd Release Sneak Day 3! 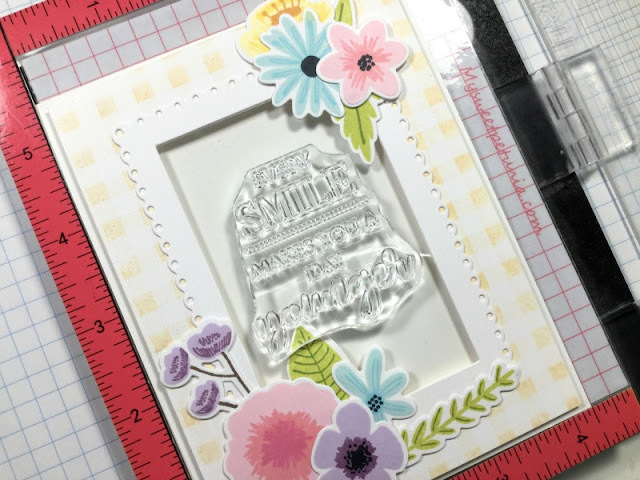 My Creative Time 82nd Release Sneak Peek Day 2!! First Project For The Ink Road Stamps! !